Dhudpokhari Khaling Trekking claim to be at an altitude around 5,300 meters above sea level. Thurchu, which is the base camp of Dudhpokhari and Namun La Pass is the center point of Lamjung, Manang and Kaski Districts and is claimed to be around 4,500 meters above sea level. People know very little about this place, but it is one of the most scenic destinations in the world where tourists have rarely trekked. Nature and culture are the specialties of this area with plenty of options for tourists. 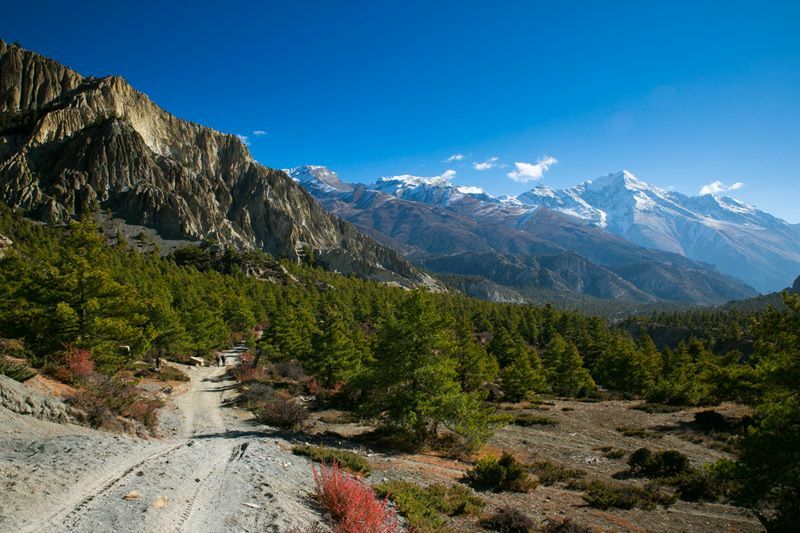 This can be a new route of trekking in the Annapurna Region of Nepal. Khaling Rais are the dominant class of this area. They have their own language and are proactive both in joint and nuclear family ties. Chhan (locally fermented millet/rice wine) is an indispensable part of their food and culture; the Bhume Dance, the Chandi Dance and the Naghi Pooja are some of their major rituals. These highlanders (Khaling Rais) believe that it is essential to worship their ancestors and the earth deity in order to continue human existence. Despite belonging to the Kirant ethnic group, the Khaling Rais celebrate the Hindu and Buddhist festivals as well.